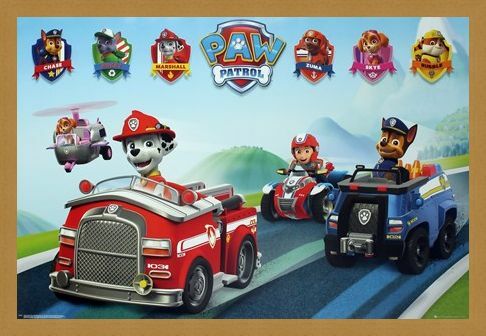 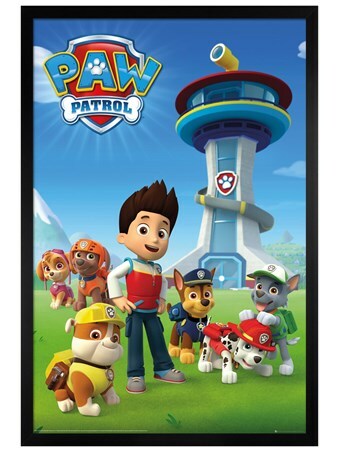 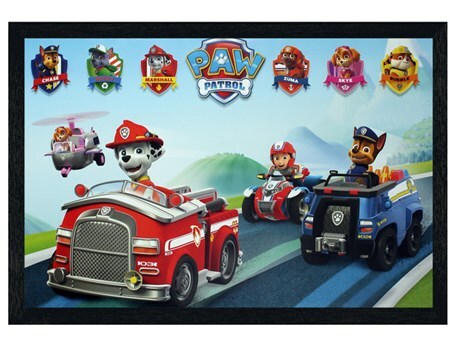 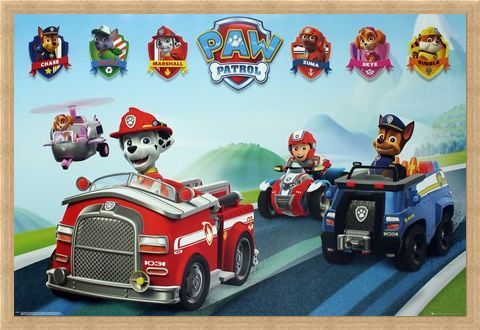 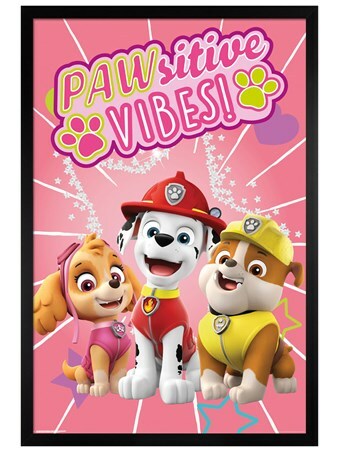 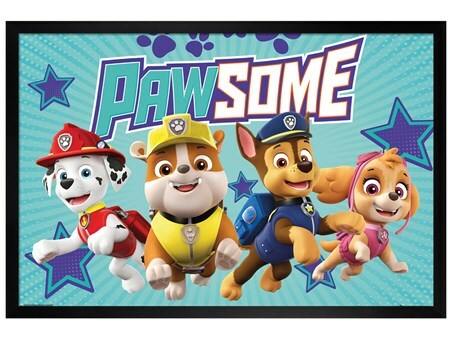 Children's Television Maxi Poster: Add a splash of colour to your child's room as they jump into the world of Paw Patrol with Ryder and the gang. Help Marshall the clumsy Fireman-pup put out any nearby fires or patrol with Chase, the German Shepherd Police Pup and he observes the traffic. This colourful and creative world where lively puppies race to the rescue is great for any child's room to entertain and teach about various occupations. 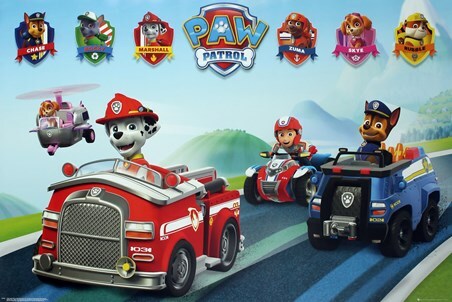 Go Paw Patrol! High quality, framed Puppy Vehicles, Paw Patrol poster with a bespoke frame by our custom framing service.